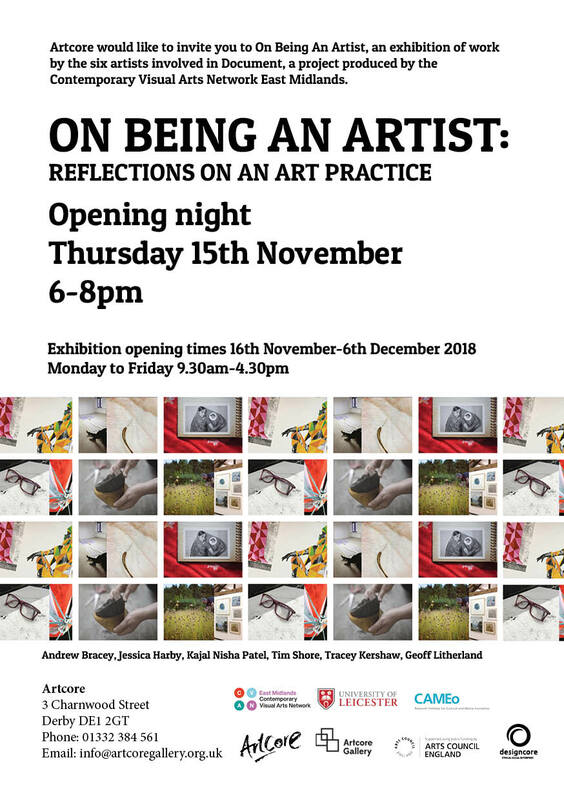 Artcore would like to invite you to On Being an Artist, an exhibition featuring the work of Andrew Bracey, Geoff Litherland, Jessica Harby, Kajal Nisha Patel, Tim Shore and Tracey Kershaw. 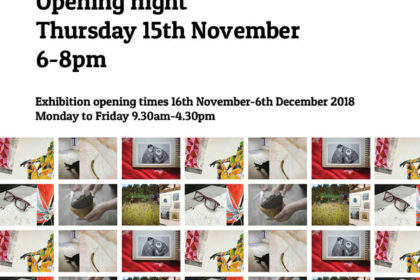 The artists were selected to be part of Document, a project produced by the Contemporary Visual Arts Network East Midlands. We are glad to present their works side by side in the Artcore Gallery. For two and a half years the six East Midlands-based artists have shared their lives with each other and the public, exploring aspects of pursuing a career as an artist, from funding and career direction to self-doubt and work/life balance. The project sought to explore their motivations, shine a light on their creative processes, and give an insight into how they pursue their practices. Crucially, it aimed to present an honest portrait of what lies beneath art produced in the East Midlands, from the artist’s point of view. You are invited to join us for the launch event, which will feature talks from the artists, a tour of the exhibition, and some time for refreshments and networking.